I received your email address from one of your homeschool parents. 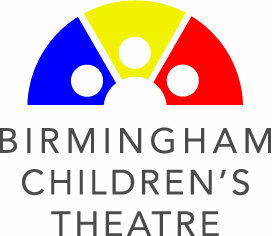 Birmingham Children's Theatre is holding auditions for children and teens (ages 8 to 17) for its holiday production of Cinderella: A Modern Fairy Tale. The show will feature professional actors from around the country, with children and teens performing most of the ensemble roles. It's an excellent chance to learn from a group of highly trained professionals. As homeschool students tend to have more flexible schedules, we are inviting them to attend auditions for this production. Our rehearsals and performances occur during the day, Monday through Friday. If any students would like to audition, they only need to email bctauditions@gmail.com to request a 10-minute slot between 12 PM and 5 PM on Saturday, July 15. Rehearsals will begin Oct. 9, the show opens Nov. 7, and closes Dec. 16 (no performances the week of Thanksgiving). Feel free to forward this email to any interested parents and students. We hope to see some of your students there!